For this project, you will develop a thesis from the research question you chose previously (from the project 4 topic sheet), and then construct an essay that makes an argument supported by the relevant, credible evidence you found in your research process for project 4A. In short, your project will take a position and then defend it. Any argumentative essay begins with a research question—a question that you, as the writer, seek to investigate. For the purposes of this assignment (and to save us some time) I provided you with a list of research questions from which to choose. Answering that question, then, becomes the focus of the writer’s research. For example, consider the following research question: “Is cheerleading a sport?” The question itself can be answered by a simple “yes” or “no.” However, the writer of the argumentative essay must seek to answer why cheerleading is (or is not) a sport. In order to do so, the writer must conduct relevant research to support his or her assertions. Each of you have already begun the research phase of the assignment. Indeed, the annotated bibliography serves as a means of assisting you in the research process. However, you may find that some sources that you’ve included in your bibliography don’t fit into your essay. That’s perfectly fine. In fact, you’ll probably continue to do research even after you begin writing the essay, in which case you might decide to include sources that were not in your bibliography. That’s okay too. 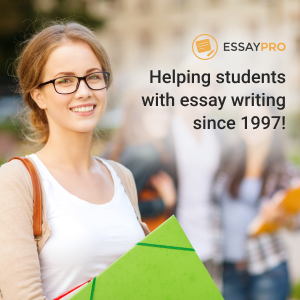 Just make sure that the sources you use in the essay are documented properly within the text of the essay and in your works cited/references/bibliography page. You do not need to provide annotations for the entries cited at the end of your essay. When it comes to your thesis, you’ll probably find that you initially will deal with an “open thesis,” one that is relatively vague. So, to use the example cited earlier, the writer might initially draft a thesis that reads “Cheerleading is a sport.” The thesis will probably remain open until late in the writing process. At this point, you (as the writer) will have enough evidence to “close” the thesis. In other words, you will enhance the thesis with further detail and specificity. Often, the writer can do this using the “why?” question: in other words, why is what is argued in the essay true and why is it important. Again, using the example from above, a closed thesis might read: “Cheerleading is a sport because it demands a certain level of physical skill, requires physical activity, and requires participation in a competitive environment.” Where did the information necessary to “close” the research come from? The research. That said, don’t be in a rush to “close” the thesis until late in the writing process. In fact, you will find it useful to examine all of your sources first before you solidify your thesis. It’s always dangerous to go into a research project with a preconceived notion about a topic and then be hell-bent on finding sources that support only that assertion. Sometimes, the research leads us in directions we had not even previously considered. So, be careful about “cherry-picking” sources—that is, finding sources, not matter their quality, that say only what you want them to say. That said, you will also want to have some idea of the direction in which you want your paper to go, as this will drive your search for sources. As you’ll see, researched writing can be a balancing act. A good way to open the essay is to link your discussion—and the specific argument you are trying to make—to something that contemporary readers will find relevant. Remember that you want to engage them, not bore them, so draw them into your discussion. Also, be careful about using sweeping generalizations or platitudes in your opening discussion. “Ever since cheerleading was invented, there has been a debate about whether or not it was a sport” offers little to the reader. However, the discussion of a current controversy about cheerleading—say, a news article talking about the elimination of cheerleading at a local high school because of a need for money to fund the baseball team—would be a more effective way to engage the reader. The body of the essay will form the heart of your argument. Remember that each paragraph, which should be driven by a strong and specific topic sentence, should ultimately feed the thesis and reinforce its point. To that end, think carefully about how your structure and craft each paragraph. Remember, also, our discussions about paragraph size and variety. Avoid overwhelming the reader with information in large paragraphs if possible. Allow a single idea/point to guide your paragraph, and use that paragraph to develop/further explore/interrogate that idea. As you move through the essay, employ sources as support, and quote (and cite) when necessary. Do not, however, allow the sources to overwhelm your own argument. Remember that the essay presents your argument; the sources you cite are meant to enhance that argument, not to make the argument. While the conclusion could simply be a restatement of your main argument(s), try to push yourself beyond this prescriptive formula. Leave your readers thinking, perhaps by making them answer a question or consider a call to action. Be wary, however, about the overuse of the rhetorical question. Does the argumentative essay rely on opinion?—yes and no. Should you use facts from reliable, relevant, and credible sources to support your argument?—yes. Should you rely on the first person because the essay presents “your” argument?—probably not. Consider the following statement: “I believe cheerleading is a sport because it demands a certain level of physical skill, requires physical activity, and requires participation in a competitive environment.” Then consider this statement: “Cheerleading is a sport because it demands a certain level of physical skill, requires physical activity, and requires participation in a competitive environment.” The inclusion of the first person (“I believe, “I think,” “I would say that…”) only serves to weaken your argument because it makes it personal. After all, if the argument is logically sound and supported with relevant evidence from your sources, what you “believe” has no bearing on the discussion. So, think carefully about using the first person. In certain situations, the first person can be effective. However, in argumentative situations, such as this assignment, its use can be a drag on your credibility as an author (your ethos) while also undercutting your argument. The same “rules” apply to the sources used in the essay as to those included in your bibliographies. In short, you’ll want to use (cite) at least five sources within your essay, at least three of which must come from the Huie Library’s online databases. However, as I noted before, they need not be the same sources contained in the bibliography. The essay should display MLA format†; quotations should be documented parenthetically (on in the manner prescribed by your chosen documentation style). A works cited/references/bibliography page is required, but does not count as one of your 6-8 pages. Also, please remember to remove the extra line breaks if you are using Word 2007+. The project, while it may seem deceptively simple, will require a great deal of time and attention. Thus, start early, and plan to spend a significant amount of time reading, researching, and writing. Finally, remember that this is the final academic essay for the term (excluding the reflection, whose purpose and audience are wildly different). Thus, edit carefully both during and after the writing process; take advantage of all of the resources available to you; and ultimately present a product of which you are proud and which will make a solid argument for the level of work you have presented throughout the semester. A draft of the essay is due (in the assignment drop box) by 11:59pm on Saturday, 29 July. Before you panic, you should know that I don’t expect a full draft at this point (although you’re welcome to submit one if you’d like). At the minimum, please submit an introduction and part of the body of the paper. That will give me a chance to offer some feedback and make sure you’re headed in the right direction. † If you choose, you may use the documentation style of your own discipline (Chicago Manual of Style, APA, etc. ); however, please do so correctly. The same penalties will apply to incorrectly cited/formatted CMS or APA essays as they do to incorrectly cited/formatted MLA essays. Sample CMS and APA essays can be found in A Pocket Style Manual as can appropriate works cited models. Please feel to get in touch with me should you have any questions. Effect of sustainable Architectural Design on housing delivery: A case study of Akure, Ondo State, Nigeria.